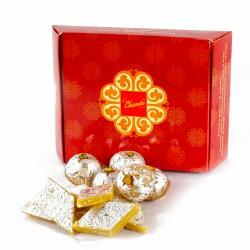 Product Consists : Assorted Kaju Sweets (Weight : 500 gms) in a Box. 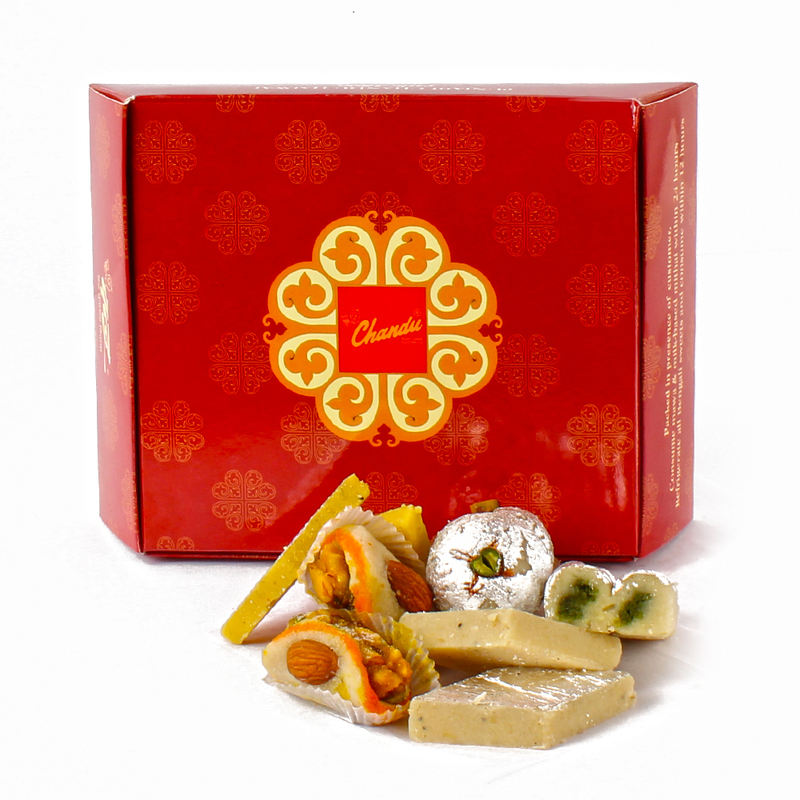 Make the occasion or festival all the more memorable for your Relative, opting for this Assorted Sweets gifts thoughtfully put together. 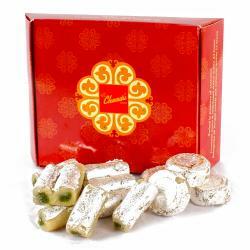 It comes with a delicious Kaju Sweets which are sure to be cherished and savored as they give a sheer delight in every bite along with Assorted Indian sweets to add to the holy feel of being a part of an auspicious and divine Bhai Dooj festival. 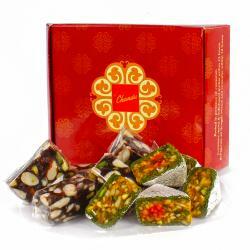 Send this gift hamper to your brother to convey your blessing and good Wishes to him. 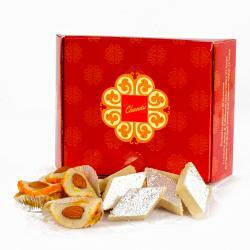 Product Consists : Assorted Kaju Sweets (Weight : 500 gms) in a Box.